For visitors and residents of Japan, we are featuring seafood posts written by my husband, Shinji, a Japanese fishmonger. While in Japan, these are seasonal seafood and dishes that you should definitely look for. All of the food was prepared in our home. 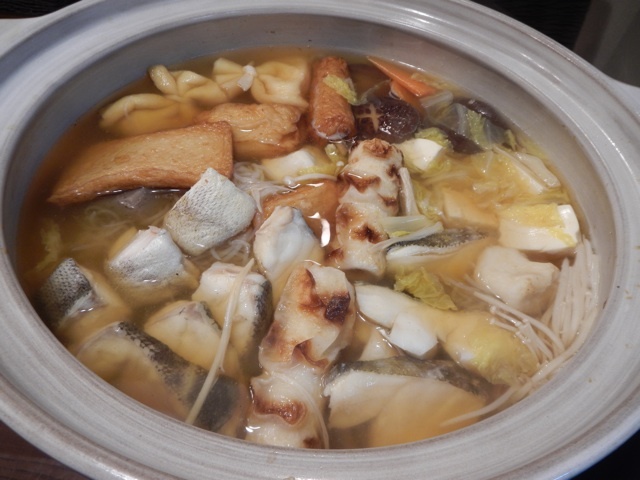 A popular winter dish in Japan that is really easy to prepare, is hot pot (nabé 鍋). 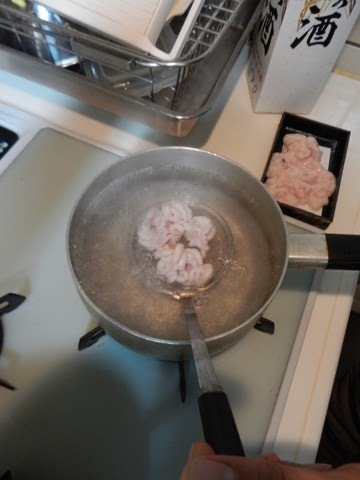 Just cook any vegetables, meat, or fish you like in a hot broth, usually a simple kombu dashi, for about 10 minutes. When you smell the nice aroma of the ingredients, it is ready to serve. In Japan we have small, portable gas grills that are used on the dining room table so that the nabé is always hot and diners can continue to add vegetables and other ingredients to the pot as needed. Serve with your favorite dipping sauces like a citrusy soy sauce (ponzu ポン酢) or a creamy sesame paste sauce (gomadare ゴマだれ), and dip the cooked ingredients in the dipping sauces and enjoy. Nabé will wrap you up with warmness and a lot of nutrition in cold winters. 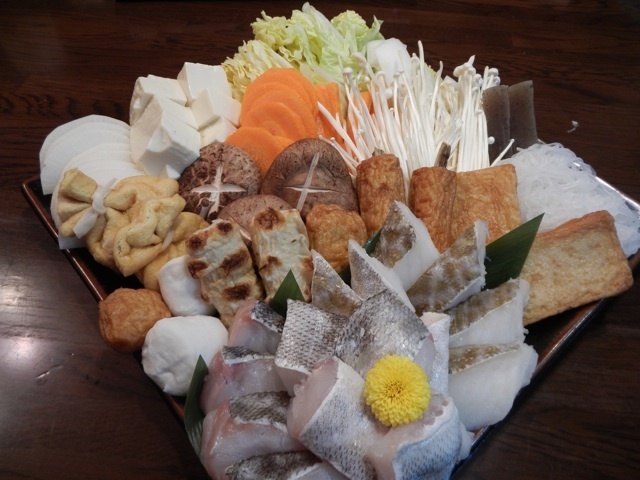 In Japan, there are many kinds of nabé dishes as there are many types of seafood and meat. The representative fish for nabé, which is very well known worldwide, is cod (madara 真鱈 Gadus macrocephalus). 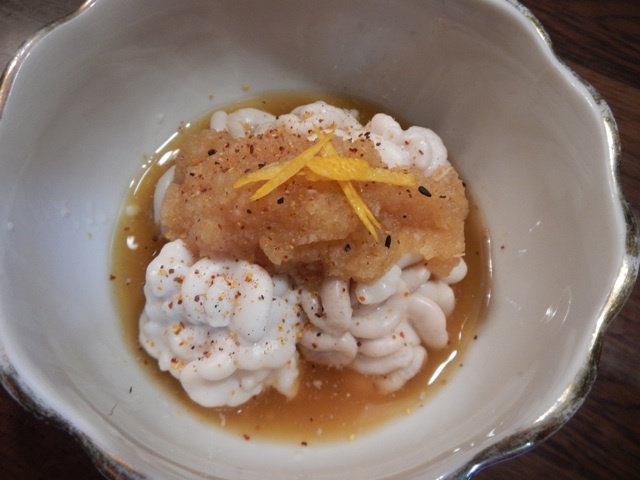 Madara (Pacific cod) is a winter delicacy for Japanese people. Cod flesh is delicate and flaky with a light flavor. The bones contribute to a good broth. Cod goes with any kind of sauce, and moreover, it is a very affordable fish. 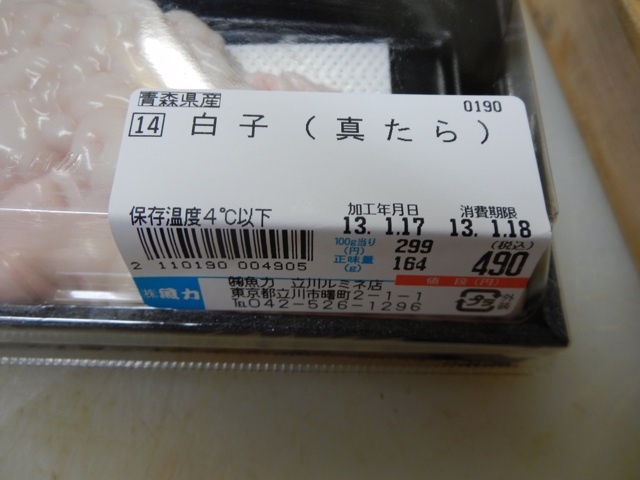 You can buy cod at any supermarket in Japan. I would like to give you some tips when choosing cod at your supermarket. 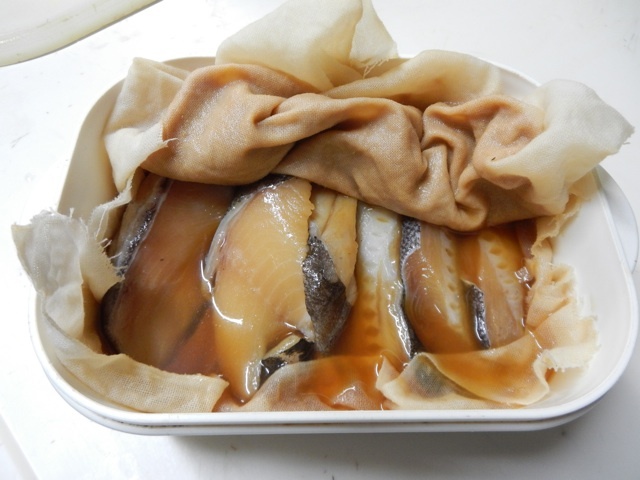 The first thing you should know is that madara spoils rather fast, and has a parasite (anisakis), so that you will not be able to buy cod as sashimi. All of the cod you buy at supermarkets has to be cooked before serving. It is usually sold as portion cuts. See the pictures below. Can you tell which filet was lightly salted and frozen prior and which is fresh? The top photo is amajio or lightly salted. The bottom photo is fresh. You can tell by the color of the flesh, the fresh cod is transparent while the lightly salted cod is opaque. Also, the bloodline, which is the bit of red in the middle of the flesh, should be bright red in fresh fish while frozen and defrosted cod will lose this color. Also, defrosted Alaskan cod fillets are available yearlong. It is usually lightly salted. The processors import tons of whole fish by a reefer ocean container from Alaska. 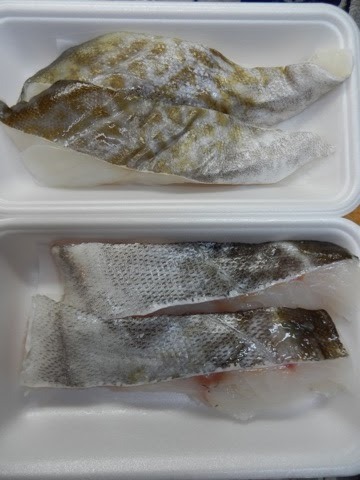 Once in Japan the cod is defrosted and then processed into fillets and then lightly salted. 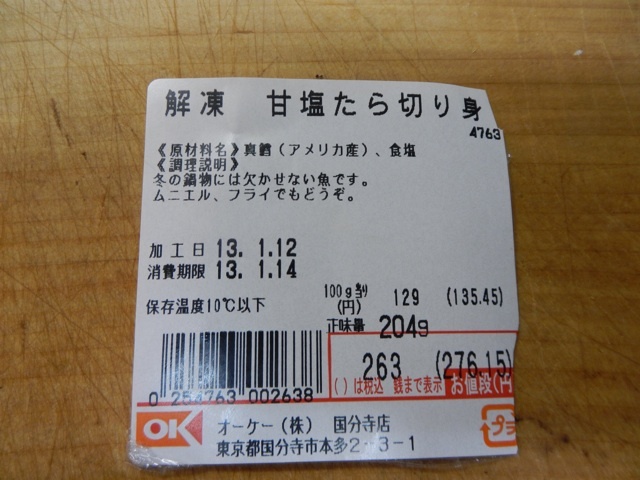 Look for ‘甘塩たら amajio tara’ on the package. 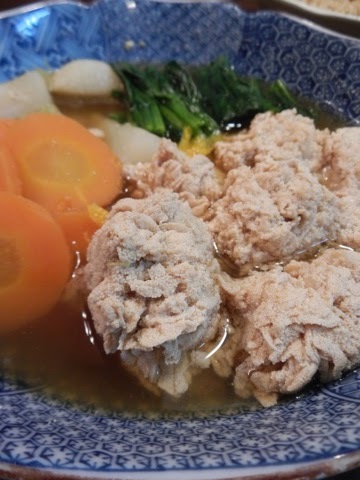 Pacific cod roe simmered with carrots, Japanese turnips (kabu), and spinach. 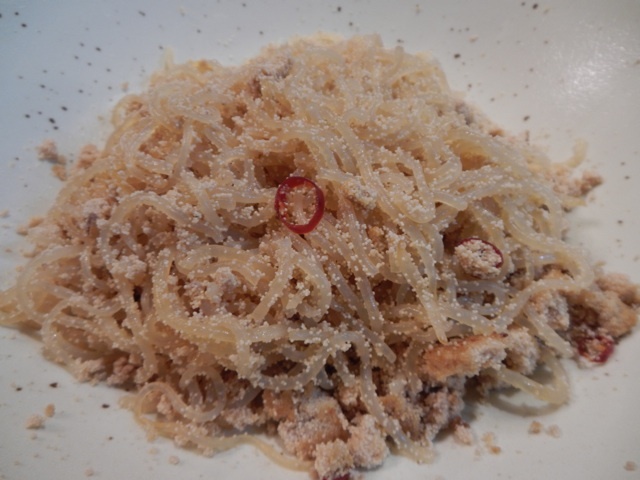 Pacific cod roe with shirataki (konnyaku strings) and dried red chili peppers. 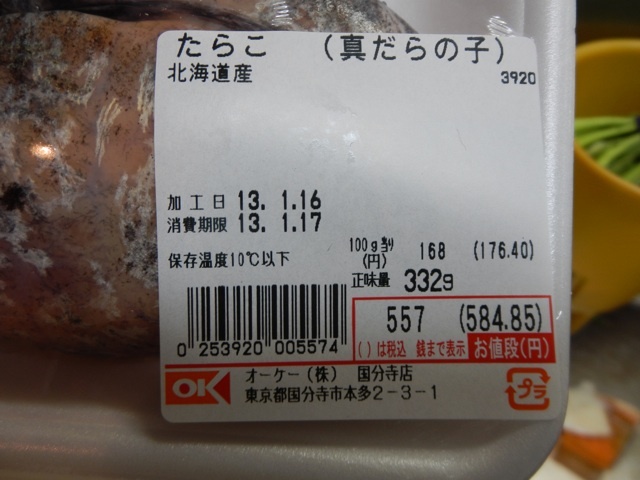 Surprisingly, it can be hard to believe for non-Japanese, that cod roe and milt are sold at a much higher price than the fillets. These are regarded as winter delicacies more than the flesh. They have very delicate flavors and unique textures. 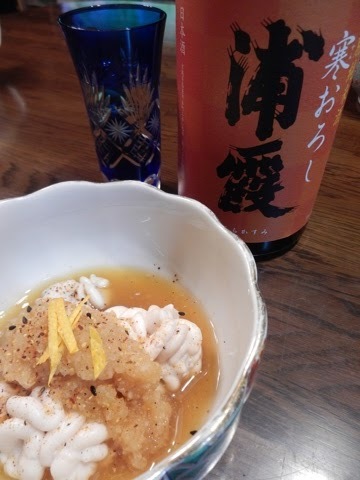 Both are not only put in nabé with the cod flesh, but also the roe is usually served as soup (simmered with kelp broth), or nitsuké (simmered with soy sauce, saké, and mirin), and the milt is lightly boiled in hot water then dipped in a citrus soy sauce (ponzu) garnished with chopped leeks and grated daikon radish. Also, you can deep-fry or sauté the milt. 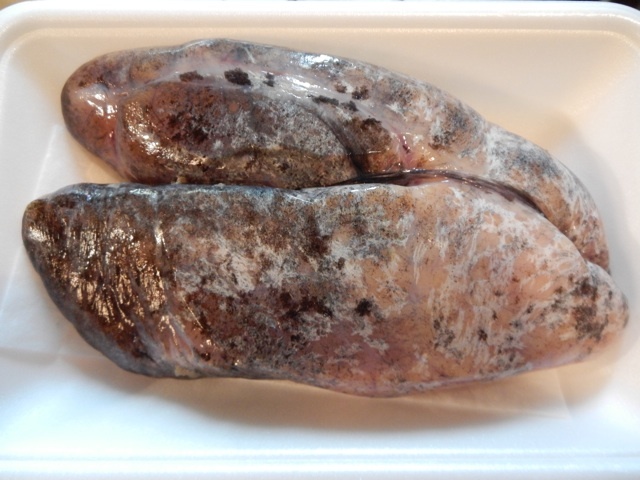 Both roe and milt are usually distributed through December to March from Hokkaido or Aomori prefectures, but the madara shirako has more demand than the supply. 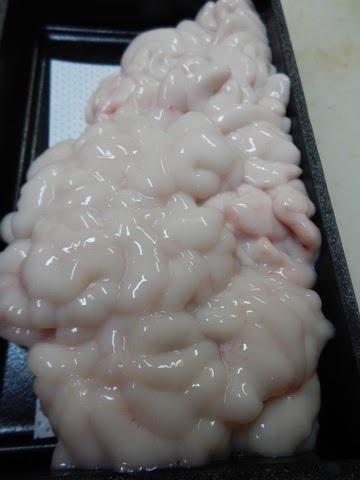 As a result, imported air-flown fresh Alaskan cod milt is distributed from late January to March. 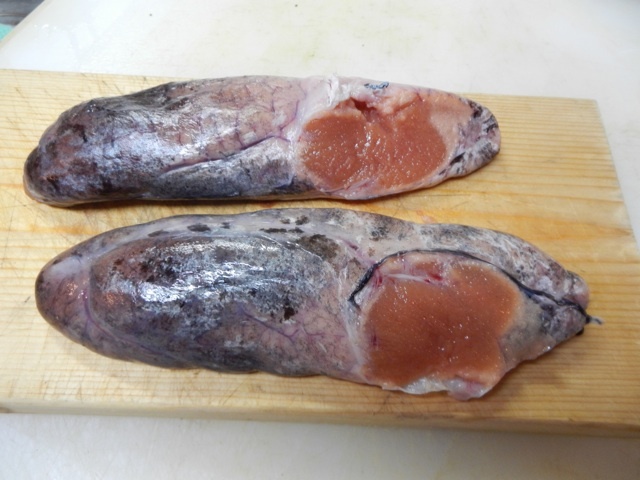 There is little demand for the product in Alaska, so most of air-flown milt is exported to Japan all the way over the Pacific Ocean. 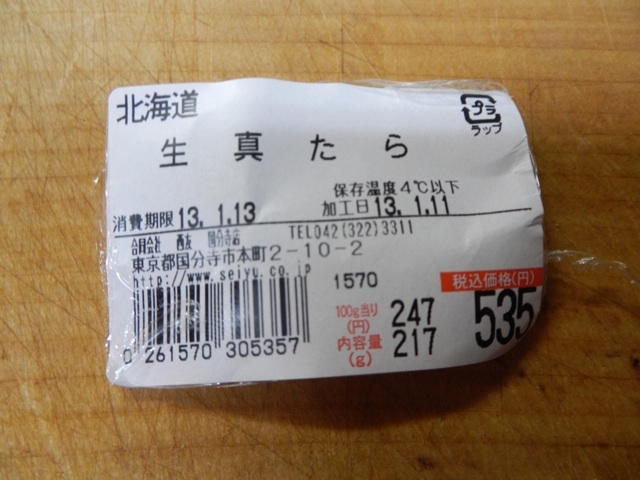 Alaskan milt is almost the half price of the local Hokkaido product. If you can identify and recognize the taste, then you really deserved to be called ‘a king of fishmongers’. Perhaps you have had miso-marinated and grilled cod at a Japanese restaurant. This dish was made famous by chef Nobuyuki Matsuhisa, better known as Nobu. In Japanese, this dish is called gindara Saikyo-yaki. At many Japanese restaurants this is translated into English as “miso cod”. 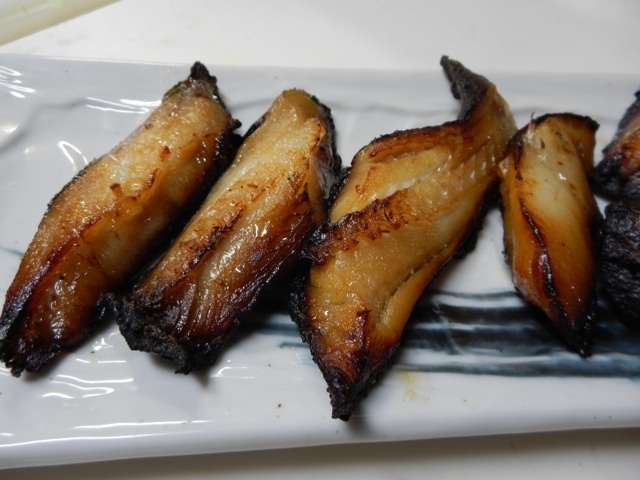 Gindara is black cod, but actually, it is not Pacific cod, it is sablefish Anoplopoma fimbria. Sablefish is a very fatty fish while Pacific cod is not fatty at all. Miso marinated and grilled sablefish gindara.